Double Layers of Zebra Print on hot pink grosgrain ribbon. This is a great combination that all the girls will want to have in their collection. 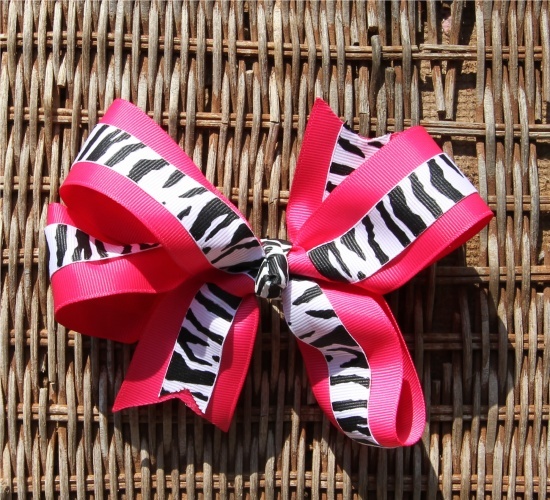 This is a 1.5" hot pink ribbon with a 5/8" zebra print grosgrain ribbon on top for this double layered bow. The center is wrapped into a French knot with the zebra print and it is attached to a French clip.